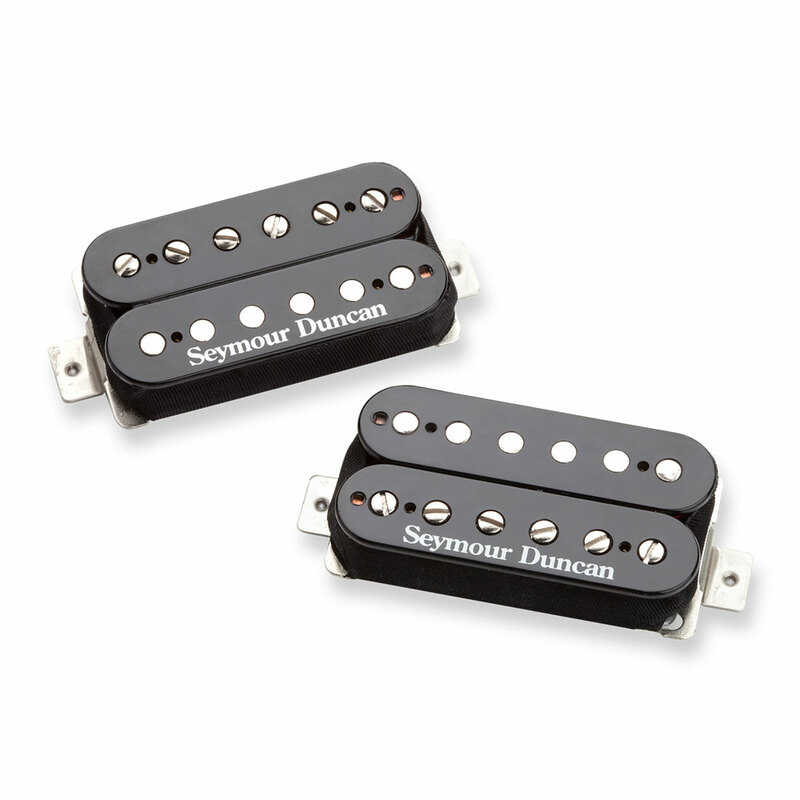 The Seymour Duncan Hot Rodded Humbucker Set is made up of JB pickup for the bridge and a Jazz pickup for the neck, together they provide one of the most versatile and popular sets ever made. The JB model humbucker adds juice to the bridge position of any guitar with its hot coils and alnico 5 bar magnet, this pickup delivers an unmistakable upper midrange attack, a tight, articulate low end and harmonically rich highs that can really sing. The JB is the perfect bridge pickup for anything from blues & country to hard rock & metal. The Jazz neck humbucker uses an alnico 5 bar magnet and a special coil wind for an articulate, glassy treble response that balances very well with its full, tight low end and the scooped midrange gives this pickup a smooth tonal character all its own, the Jazz is an incredibly versatile humbucker that will work for almost any style of music.